In this post, Graphic designer James Addison gives us a preview of his talk next Thursday 12 November at 7pm. 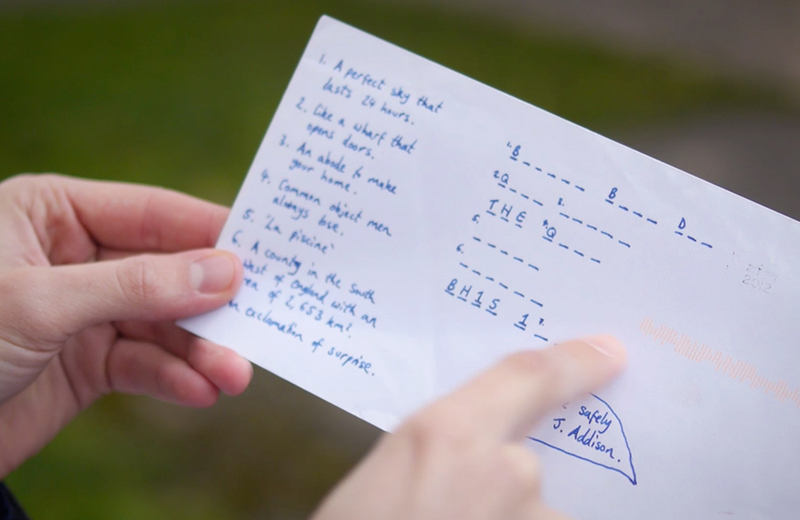 James has been testing the Royal Mail’s delivery service through a series of peculiar envelopes containing nothing more than cryptic clues and puzzling addresses to see what lengths our humble posties will go to deliver our letters. Have you ever thought about sending a banana through the post? 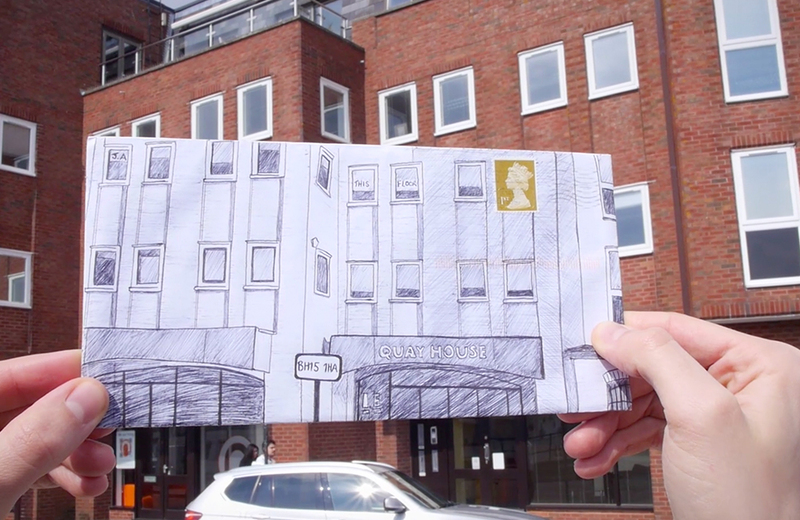 Or even asking your postman to decide where your letter should be sent? Perhaps writing your address in Morse code? No? As a self-confessed ‘Post Puzzler’, I have been challenging the Royal Mail by writing and sending cryptic addresses on envelopes for many years. From maps and symbols to word-searches and drawings of the destination, they never fail to deliver and I have a growing admiration for their patience and perseverance. 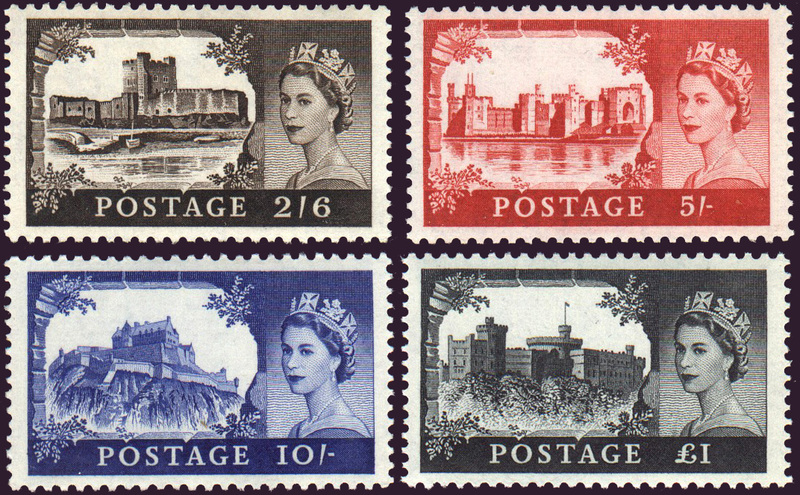 The Royal Mail has been a great fascination of mine for many years. How a letter can physically travel from one end of the country to the other for just 54p is still brilliant (you can’t even buy a Double-Decker chocolate bar for that price). But when you discover the lengths that our postal service have gone to in order to deliver that letter then receiving one is even more special. During my talk I will be delving back into my own personal archives of curious envelopes, odd experiments and occasionally eyebrow-raising postal exploits. Please join me as I share not only my work but that of many other artists, designers and illustrators over the years who have explored this still thriving medium and bringing a whole new meaning to the word ‘postcode’. 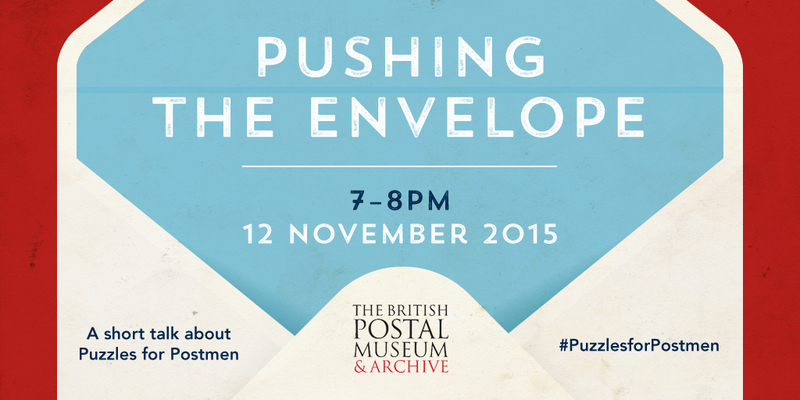 Join James next Thursday 12 November at 7pm. Book your tickets today online or ring + 44 (0)20 7239 2570 to reserve your place! 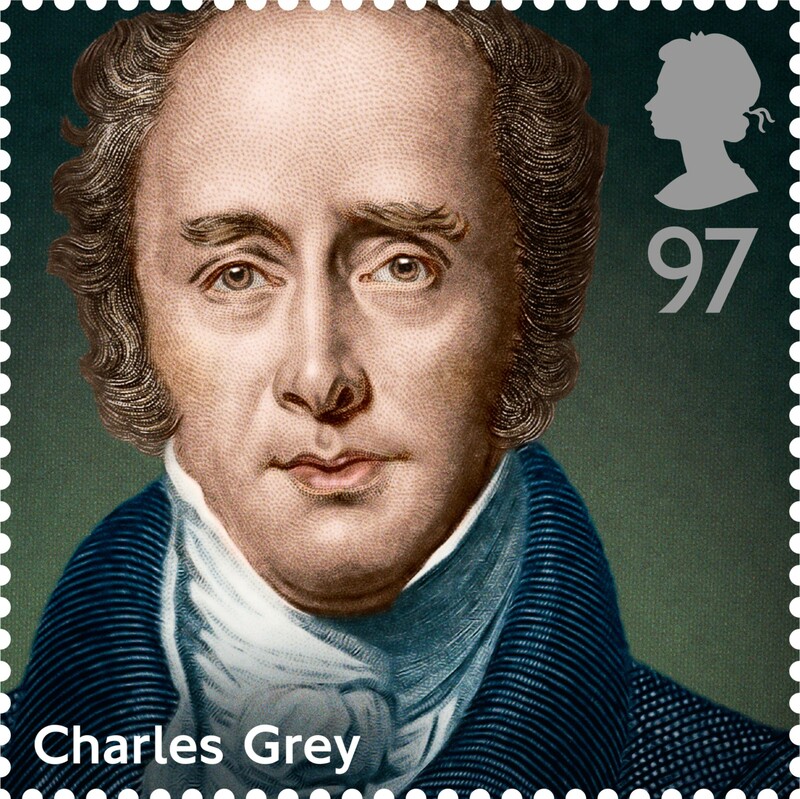 Today Royal Mail launched eight new stamps showing key British Prime Ministers of the past 200 years. 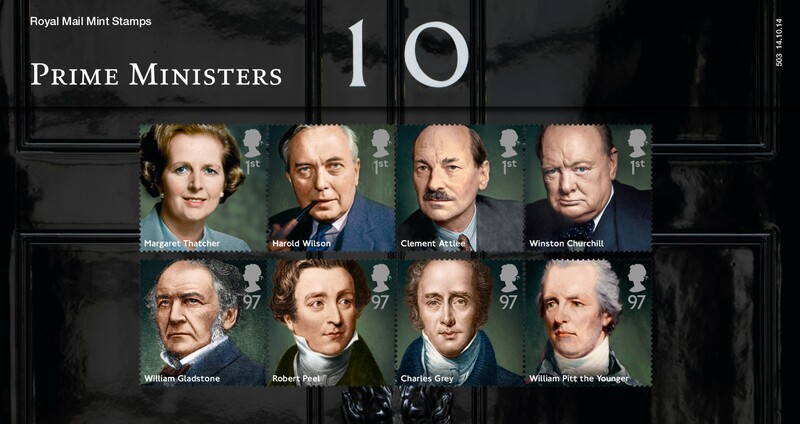 This is the first set first dedicated to Prime Ministers and features some of the most influential office holders. The Prime Minster is the head of the British Government. 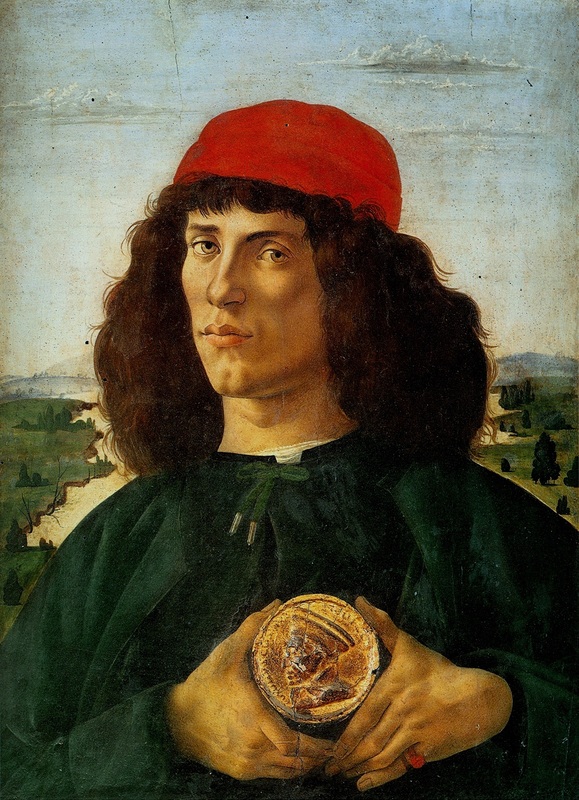 The official title is ‘First Lord of the Treasury’. 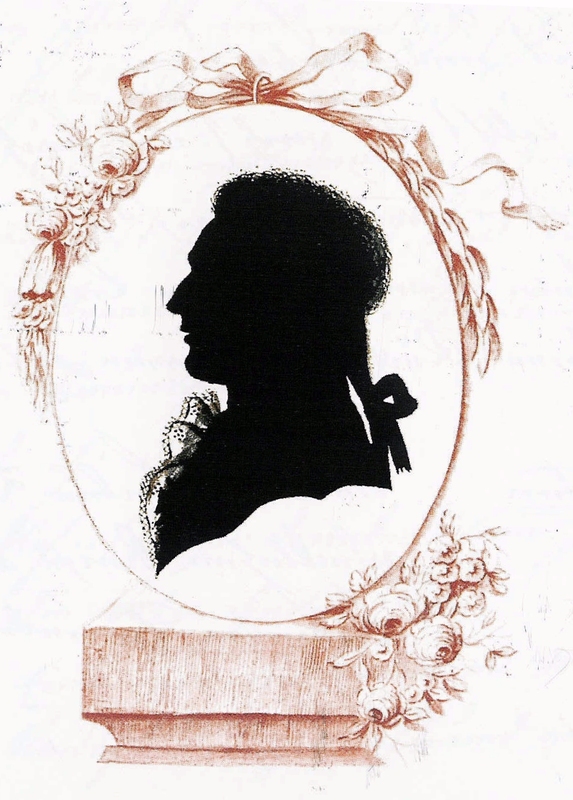 It was around 200 years ago that the term ‘Prime Minister’ was first used. 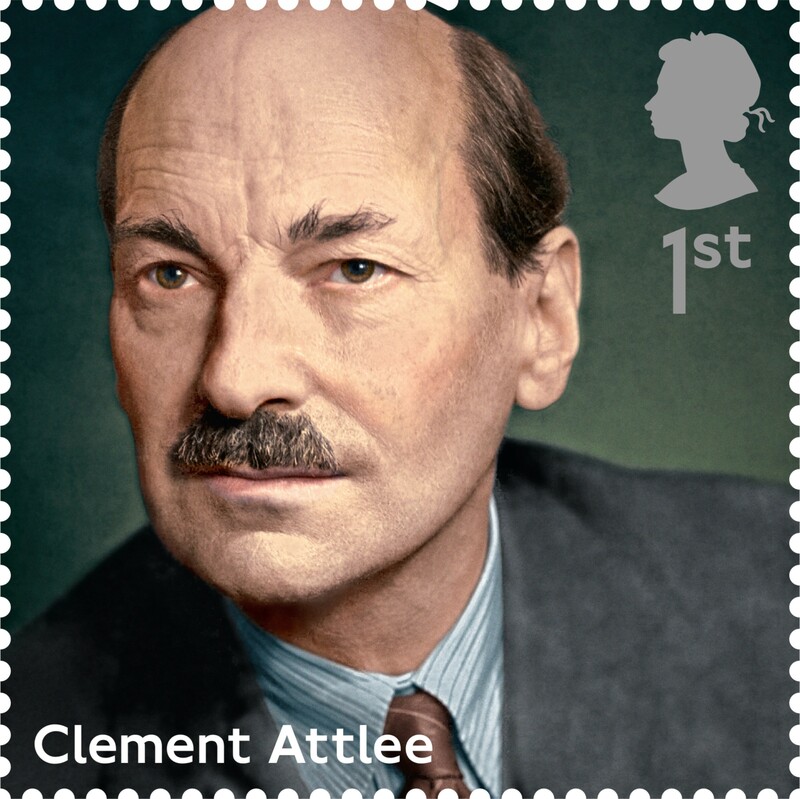 PM Clement Attlee, 1st class. 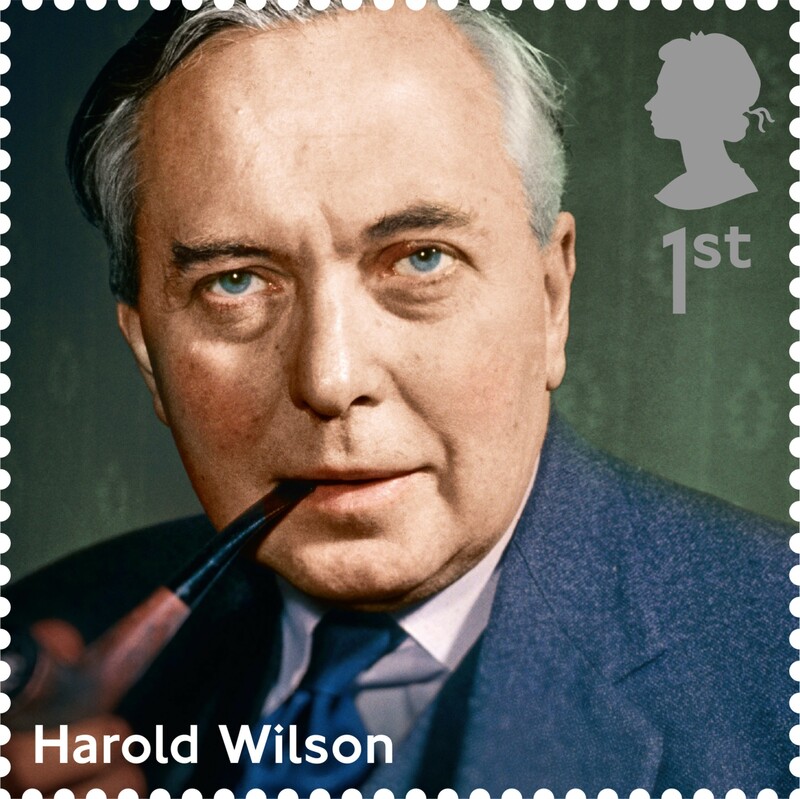 PM Harold Wilson, 1st class. PM Margaret Thatcher, 1st class. PM Winston Churchill, 1st class. 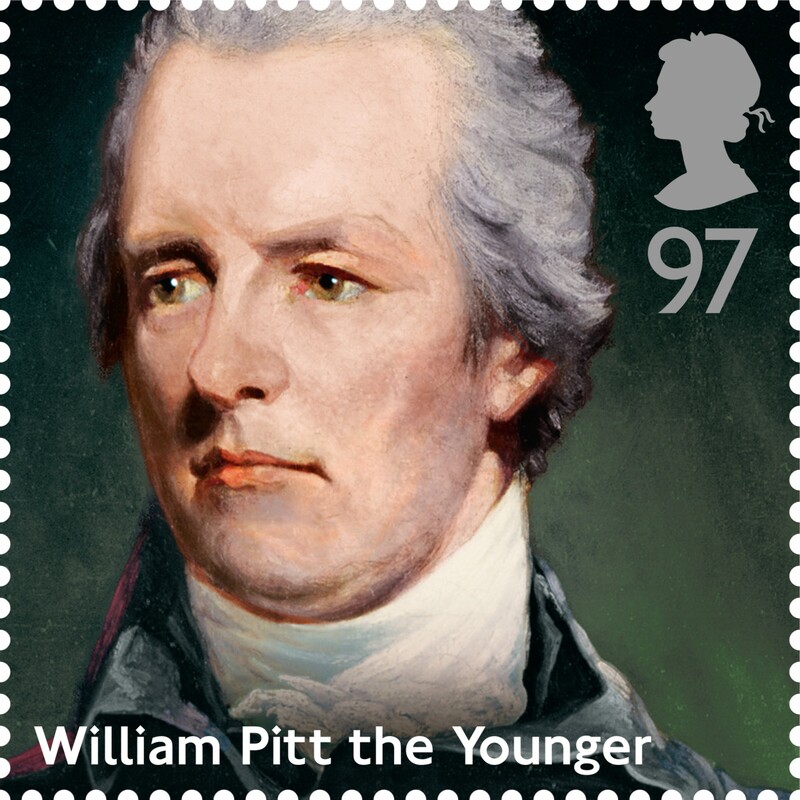 PM William Pitt the Younger, £0.97. 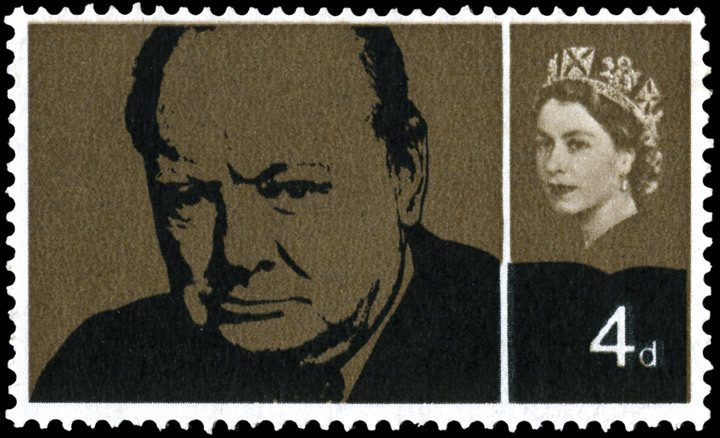 This isn’t Churchill first appearance on a UK stamp. 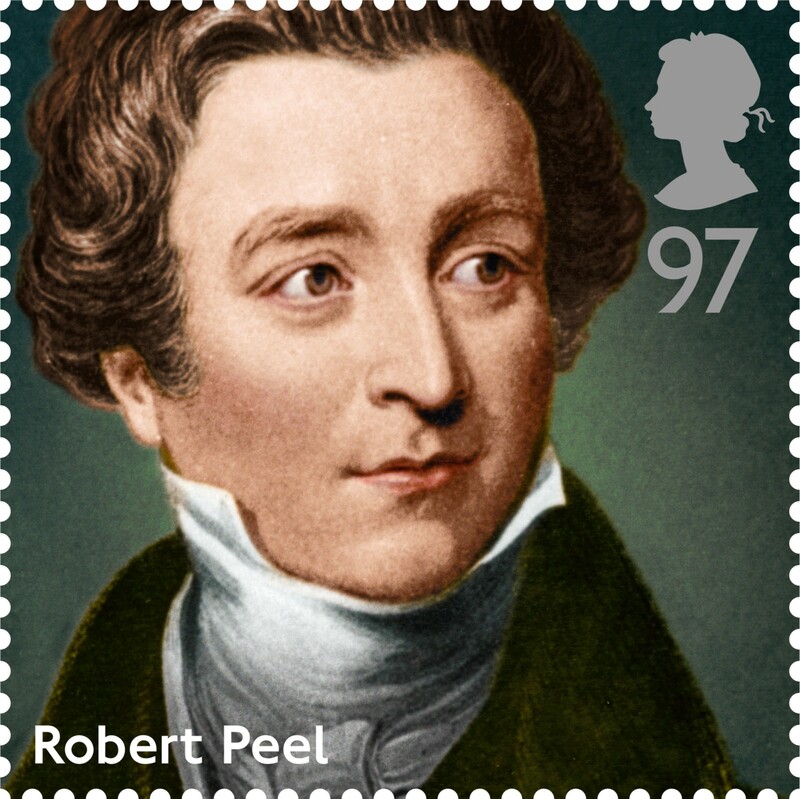 Only his death cleared the path to the production of a commemorative stamp: in 1965 the idea of showing any eminent person on a stamp, even former monarchs, was unprecedented. 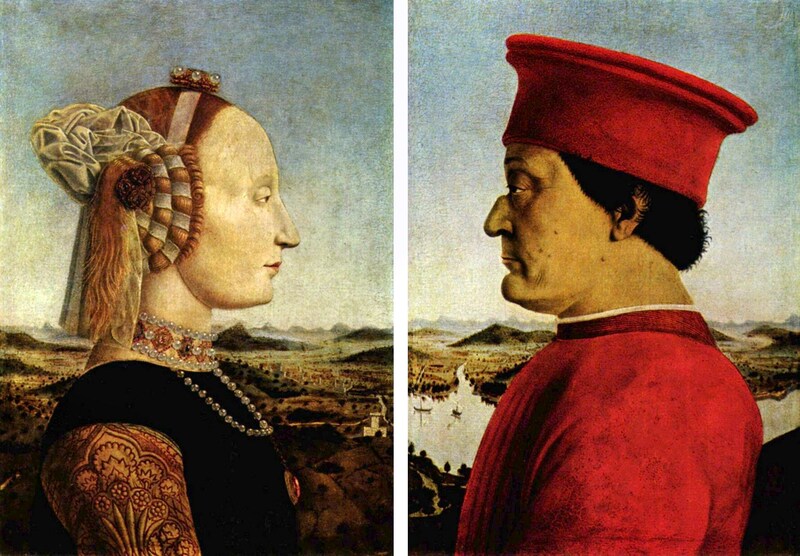 It was felt that the importance of the occasion, and the inevitable stamp issues from other countries, meant that a stamp should be commissioned. 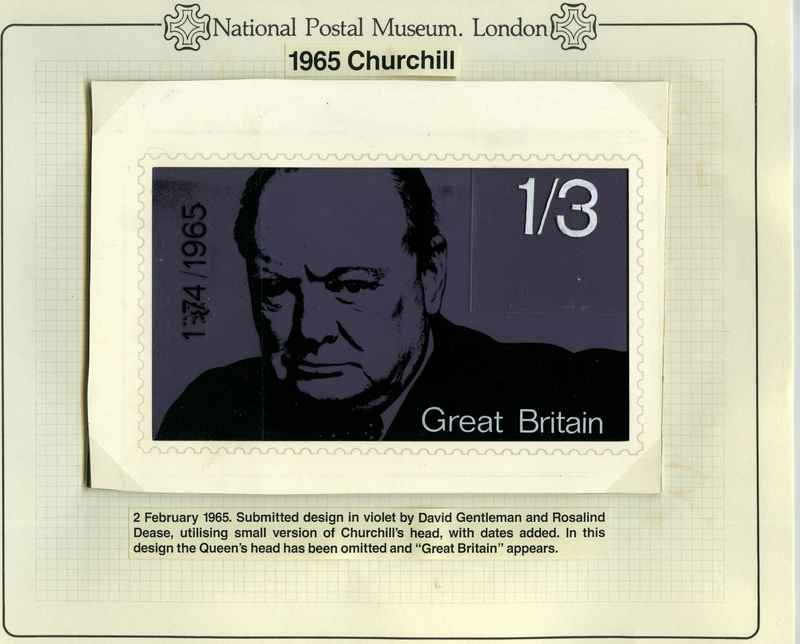 Winston Churchill memorial stamp, 4d. 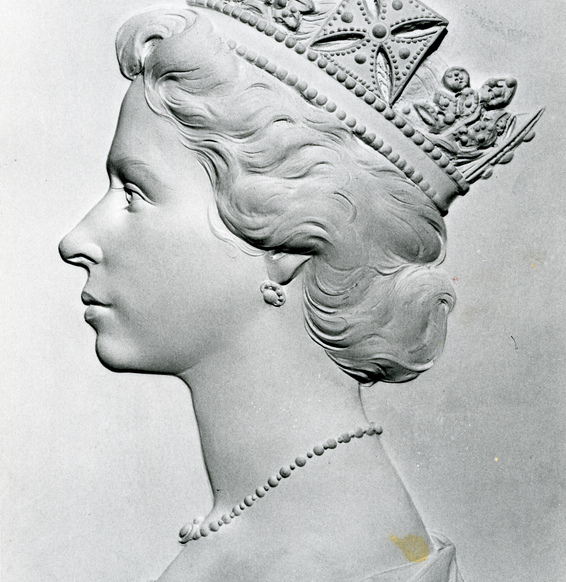 The final design chosen was by David Gentleman and Rosalind Dease, from a photograph by Karsh. 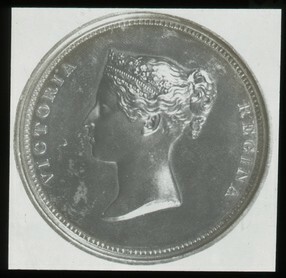 The stamp was issued in values of 4d and 1s 3d. 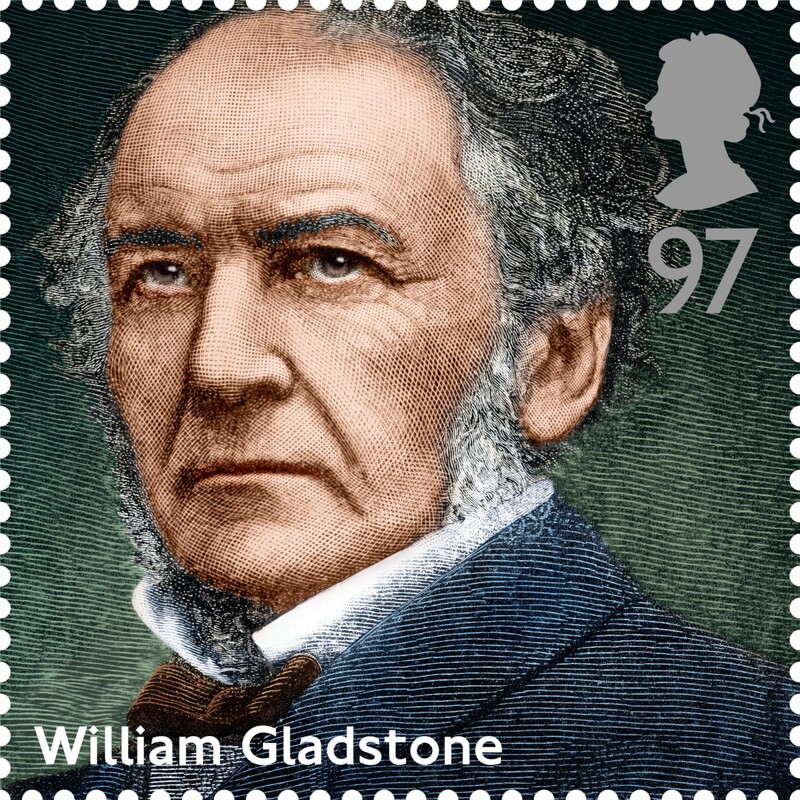 The stamps are available online at www.royalmail.com/primeministers, by phone on 03457 641 641 and in 8,000 Post Offices throughout the UK. Stamps can be bought individually or as a set in a Presentation Pack for £6.90. Many factors can affect the collection and delivery of mail in the UK and across the world. Throughout history, postal services have had to cope with obstacles including weather, industrial action, infection, and civil and military unrest. International mail is particularly subject to disruption due to the distances involved and the modes of transport used. While, for example, in the event of industrial action it is usually relatively straightforward to shift inland mail from one form of transport to another i.e. rail to road, there are less options available for overseas mail. In particular, moving mail from air to sea could result in significant delays. This is still true today. Royal Mail’s incident report for international mail shows that, at present, one of the key causes of disruption is the Ebola outbreak, which has resulted in the suspension of all mail services to and from Liberia, Sierra Leone and Libya. Delays delivering mail as the result of infection are nothing new. In the early Twentieth Century outbreaks of cholera in regions such as Egypt, Pakistan and Afghanistan were a cause for concern. Questions were raised as to whether mail from these regions should be disinfected. 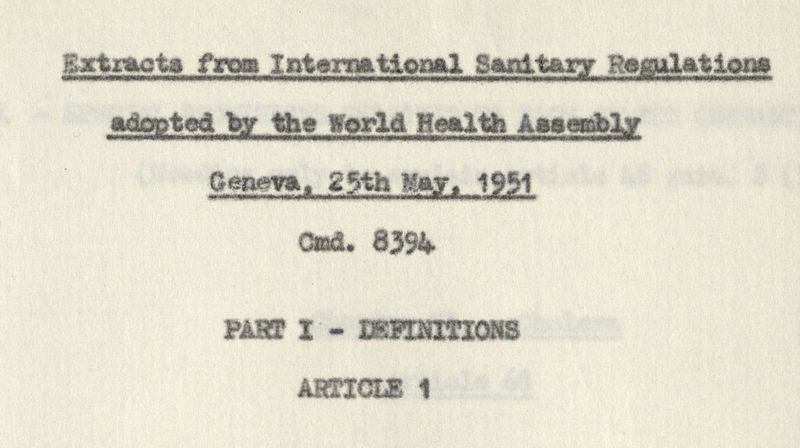 Though not thought necessary as ‘cholera germs have a very short life… even air mail sufficient to avoid danger of infection’ (POST 122/3523). Despite this, in some cases mail was disinfected or quarantined to meet the concerns of local health boards and to avoid the Post Office being considered a scapegoat should an outbreak occur in a previously unaffected area. War and civil unrest are currently causing disruption to mail services in Syria, and Crimea and Sevastopol in the Ukraine. Military conflict has historically had an impact on international postal services, even in cases where Britain is not directly involved. 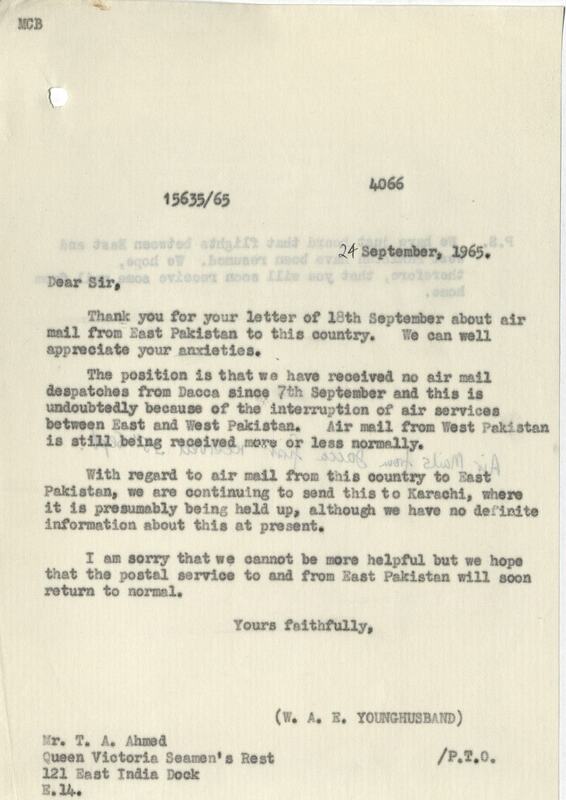 For example the deterioration of relations between India and Pakistan in 1965 disrupted mail to and from these countries. India refused access to its airspace to planes which had taken off from Karachi, Pakistan’s largest city. 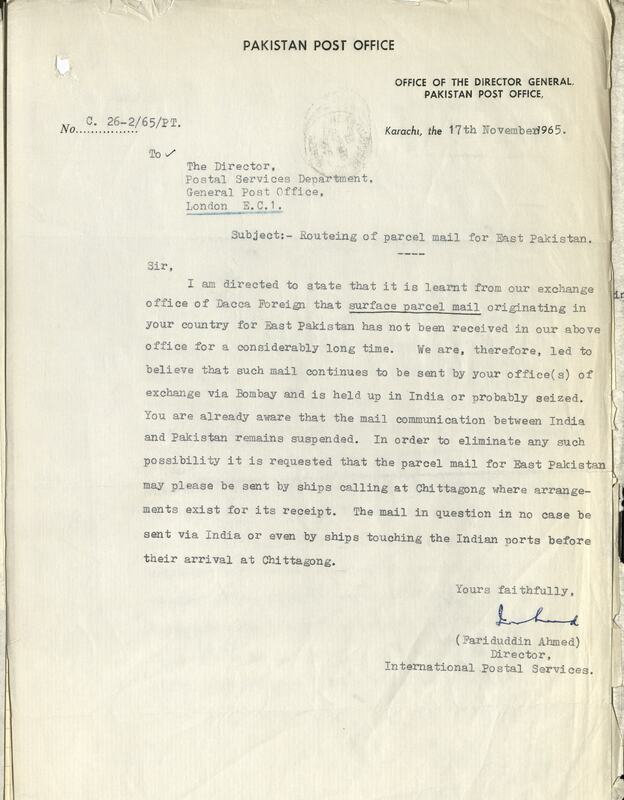 Ships were also rerouted, but in many cases it was difficult to identify and separate mails for India and Pakistan and to establish independent postal services. In Last Post, war time characters guide your pupils through different topics. From the importance of female postal workers on the Home Front to the telegram messenger boys tasked with delivering news of the fallen, you will discover how mail was sent to soldiers and find out about the sacrifices made by the Post Office Rifles regiment who fought on the Front Line. This resource supports learning across the curriculum in Key Stages 1, 2 and 3. Pupils will use real archival documents, photographs, maps and museum objects to discover how the postal service went to war. With cross-circular activities including how to make a Morse code transmitter and how to send a secret message by pigeon post. Last Post reveals stories of memorials and medals, soldiers and stamps, censorship and communication and much more! A few weeks ago Assistant Archivist Penny talked about rehousing some of the photographic collection and before that Archivist Helen introduced this year’s stocktake. 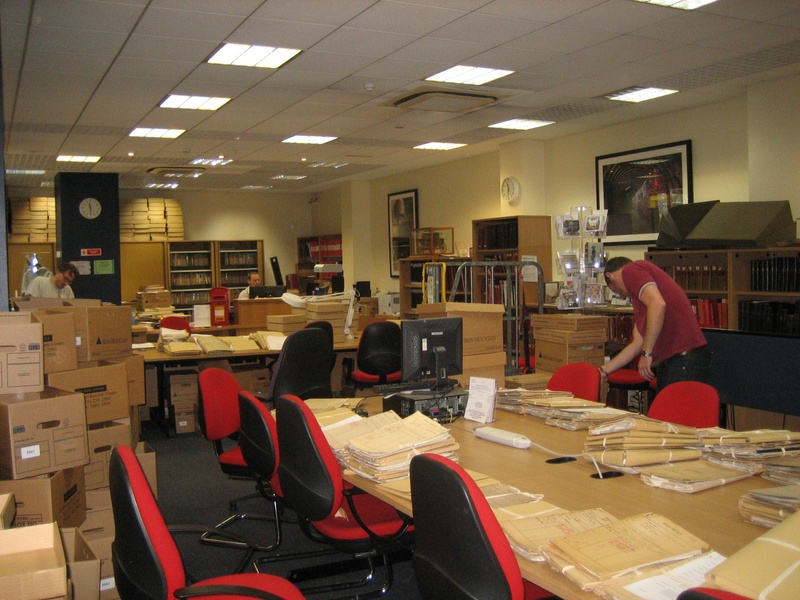 In this post Gavin McGuffie, Archive Catalogue & Project Manager, and Archivist Louise Todd wraps up this year’s stocktake. A considerable amount of work goes on behind the scenes before files are made available to researchers. 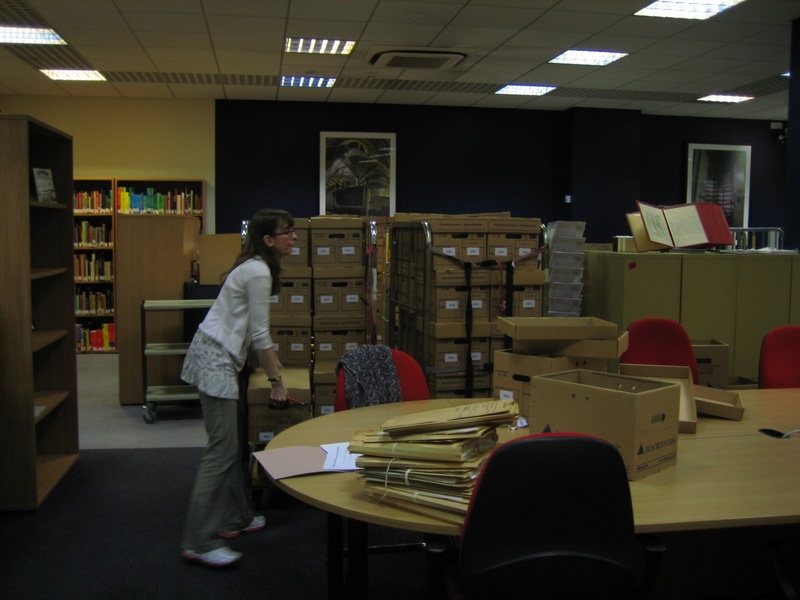 Some of this work can only be done when The Search Room is closed because of the amount of space required in order to carry it out. We took advantage of our annual two week stock taking closure in order to carry out an audit of files created during the 1970s and 1980s. The audit involved checking to make sure that no files were missing and listing them so that they can be retrieved and appraised. It went very well with almost 700 boxes being sorted, much more than we had initially anticipated! In addition to the audit another small team of staff used the weeks to get appraised files into a final arrangement for their cataloguing. 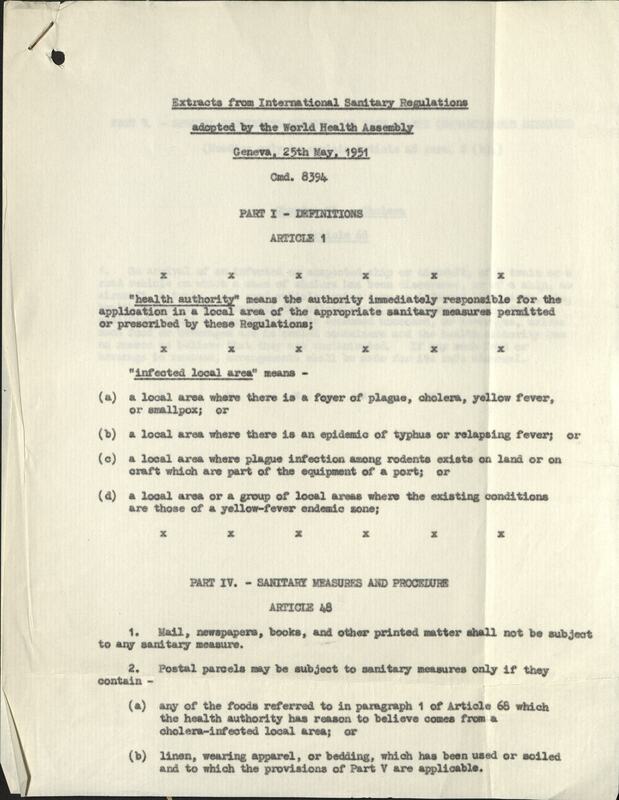 This involved removing more than 5,000 files from a number of different places (in the yearly boxes for 2nd review appraisal mentioned above, amongst 2nd review files appraised before 2008, within a couple of large series of registered files POST 121 and POST 122) and arranging them in their original reference number (so, for instance, gathering all the Marketing Department Design files together, those with the code MKD/CJ). This produced 438 acid free boxes of POST 154 – the series which represents the files created by the Marketing Department, 387 boxes of POST 157 – files created by the Postal Operations Department and 47 boxes of POST 160 – files created by the Secretary’s Office. 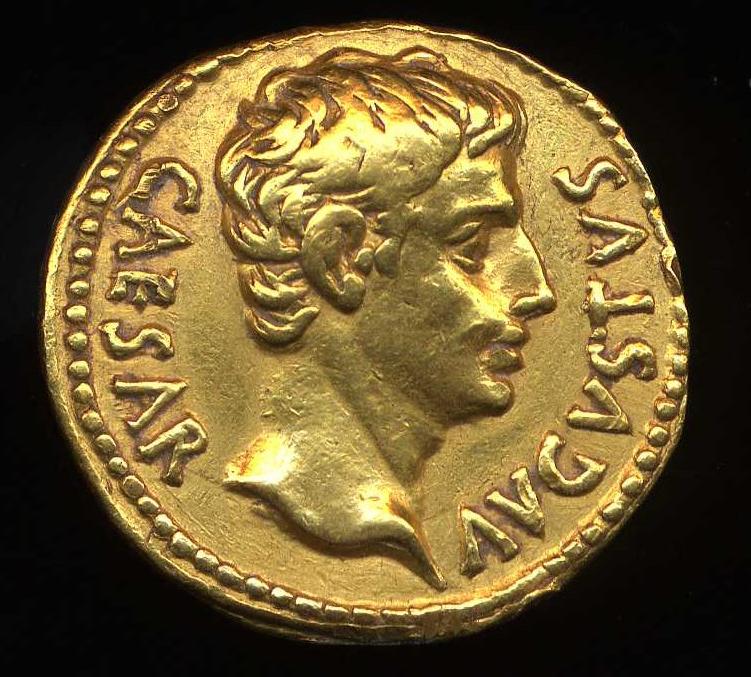 This leaves them in a state in which they can be catalogued far more easily and also makes them considerably easier to locate since they are now stored together.